What RDBMS do you use when doing location-aware things? TL;DR: use PostGIS on top of PostgresSQL. It’s a question of readability. There is no difference in performance. Old versions of SQL Server were silly enough to look up meta data, but not any more. I am not considering NULL or “fun variants” which don’t seem intuitive to me. MS SQL seems to favor SELECT * in the manual. The example in the PostgreSQL 9.4 manual uses SELECT 1. Oracle 11g has SELECT * in the language reference. 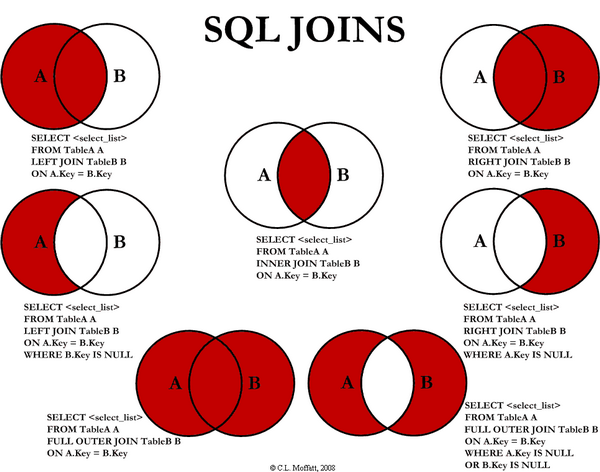 MySQL 5.7 has SELECT * in the reference manual but alsoSELECT 1 in the comments. SQLite has no example in the language reference. A search on SO for code:"EXISTS (SELECT 1" yields 5,048 results. A search on SO for code:"EXISTS (SELECT *" yields 5,154 results. Updated links and counts 07.2015. So SELECT * has the popular vote and the big commercial RDBMS on its side. I find SELECT 1 more intuitive. It’s like saying “if at least one exists”. Is SELECT * more intuitive? Thanks to that link, I found the original article and images by C.L. Moffat!